Duke was founded in 1925 and was the first to manufacture a waterless hot food well. 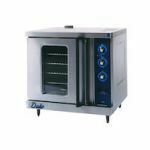 Since then, Duke has expanded into nearly every niche of the commercial kitchen with a focus on creating energy efficient equipment with low operational costs. 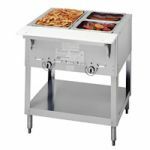 From steam tables and drop-in units to convection ovens, broilers and holding cabinets, Duke continues to excel at helping you increase your menu offerings and improve food quality.